Hydrate Facial Moisturizer isn't just an ordinary lotion. 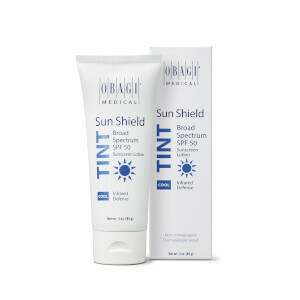 This product is formulated to provide long-lasting hydration for all-day moisture protection. Hydrate Facial Moisturizer contains Hydromanil, a technologically advanced ingredient which retains water and gradually delivers moisture to the skin. So not only does this cream provide immediate moisturization, it also continues to hold water in the layers of your skin over time. In fact, as demonstrated in a moisturization study, Hydrate Facial Moisturizer provides 8-hour moisture protection! 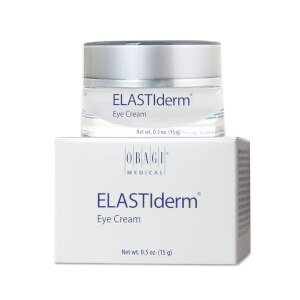 Helps to combat skin dryness without clogging pores. Formula is gentle, hypoallergenic and non-comedogenic. As part of your regular skin care regimen, apply Hydrate in the morning and evening to help protect your skin. Water (Aqua), Glycerin, Caprylic/Capric Triglyceride, Butyrospermum Parkii(Shea) Butter, Cyclopentasiloxane, Glyceryl Stearate, Cetyl Alcohol, Dimethicone, Saccharide Isomerate, Stearic Acid, Polysilicone-11, Glycine Soja (Soybean) Sterols, Persea Gratissima (Avacado) Oil, Mangifera Indica (Mango) Seed Butter, Hydrolyzed Caesalpina Spinosa Gum, Caesalpina Spinosa Gum, Hydrolyzed Soybean Fiber, Sodium Stearoyl Glutamate, Caprylyl Glycol, Bisabolol, Allantoin, Tocopherol, Tetrahydrodiferuloylmethane, Panthenol, Carbomer, Hexylene Glycol, Sodium Hydroxide, Laureth-12, Ethylhexylglycerin, Phenoxyethanol. Comes on light and smooth--not sticky--with great hydration. Love it! Great basic moisturizer that does not break me out. A little pricey for what it is. 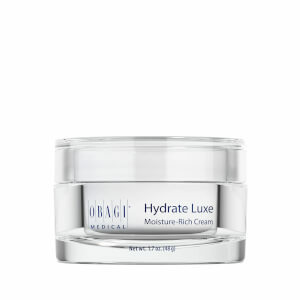 This product is one of the last steps in the Obagi daily facial regimen. The hydrate absorbs quickly, is lightweight, and is compatible with my makeup. It does not become "blotchy" when makeup is applied. Excellent product, neither too greasy nor too heavy. I have very sensitive skin, does not clog! Obagi products are expensive, but you are going to get a lot in this bottle. I have dry, scaly skin and some moisturizers make it worse. I have used this for a short while and have been pleased so far. My skin feels a little dry by the end of the day but I have not had scaly skin using this product.